Over at Corner Side Yard, Pete Saunders has two excellent rejoinders to me and others who objected to parts of his original piece, in which he argued that legalizing the construction of more homes in high-priced neighborhoods would actually make things worse for low-income areas of the city. First, let me summarize where I think our common ground is. 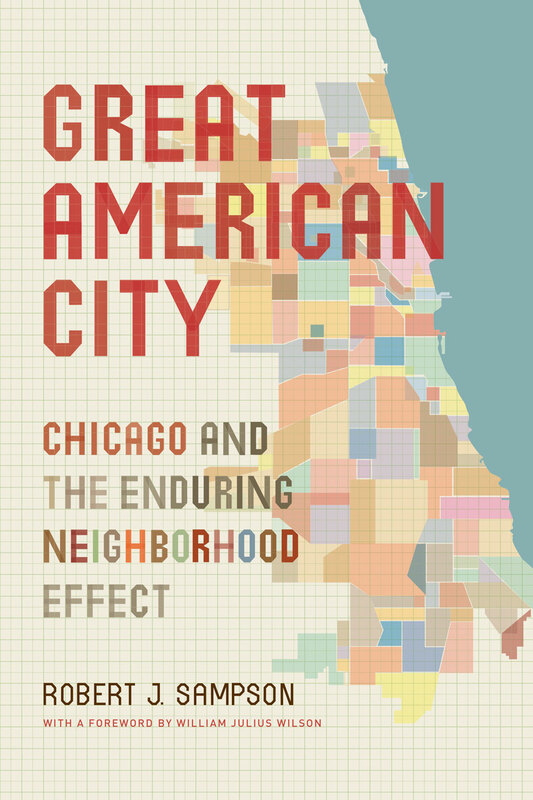 We both loathe the status quo, in which many Chicagoans – and this holds true for most American cities – live in racially and economically segregated neighborhoods where basic quality of life issues, from access to stores to street crime to public education, severely limit their ability to make of their lives what they want. We both believe it is precisely that racial and economic segregation that must be somehow destroyed if everyone is going to enjoy the opportunities that people in Lakeview, or Beverly, or Oak Park, enjoy. We also agree, as Pete argues in the second piece, that a sociological, or cultural, approach is needed to understand the problem of segregation and attempt some sort of fix. Indeed, the book that has probably had the greatest influence on how I think about cities is Robert Sampson’s exhaustive sociological theory of neighborhoods. Pete’s question about why places like South Shore – a beautiful neighborhood of both apartment blocks and single family homes right on Lake Michigan, and just half an hour from downtown Chicago – hasn’t seen any real influx of money or people over the last twenty years can’t be answered without an understanding of, for example, racialized social networks, or the interplay of real and perceived “street disorder,” and how they affect people’s decisions about where to live and shop. We agree, even, that a certain amount of gentrification is a very good thing in neighborhoods that have been racially and economically isolated for decades. As John McWhorter has pointed out, the walls around America’s racially segregated neighborhoods were built by Jim Crow urban policies and Klan-like violence against the people who tried to escape. The pain some people feel at losing the current form of their communities isn’t something to dismiss out of hand, but it’s hard to see how, in the long run, tearing down those walls is anything but a victory against the forces that we all want to eradicate from this country. And finally, we agree that in the suburbs, restrictions on density contribute to much of the economic and racial segregation that currently dominates Chicago and other metropolitan areas. But, as I read the studies, this is most applicable at the metro area scale, when talking about ways to reduce metro level segregation. Meaning, suburban low density zoning reduces supply in the suburbs, increases price there, and creates barriers there. With all due respect, I don’t think this argument holds water. While there may be some sense in which this is true – all things being equal, there is probably more demand for housing in the city, and most suburbs do constrain their supply of housing more severely – if we’re talking about prices, then “there’s too little supply” and “there’s too much demand” is exactly the same thing. Prices for housing, like for any good, can only be the result of the interplay of both supply and demand: the fact that there are fewer houses in, say, Flint than there are in New York is meaningless without also understanding their relative levels of demand. What you’re saying in both cases, then, is that demand and supply don’t match – and, specifically, that there’s more demand than there is supply, because municipalities strictly limit how much housing can be built within their borders. The dynamic is exactly the same, even if the particular level of supply at which municipalities have frozen themselves varies from place to place. Moreover, people like Ed Glaeser – one of the academics who has done the most work on the relationship between zoning, housing prices, and segregation – have explicitly applied their own work to dense inner-city areas. Even the article that Pete cites, which in his view supports this distinction between cities and suburbs, was written by an urban planner who has recently argued that New York City – not the suburbs – needs to build more housing to relieve displacement and segregation. In other words, if you buy that constrained supply in the suburbs leads to higher prices and more segregation, then I don’t see any reason to reject that logic in cities. I have two thoughts about that. My first thought is, to be honest, mostly defensive: notwithstanding any postmodern caveats about the impossibility of neutral perspectives, I thoroughly reject the idea that what I’ve been writing about this whole time is the desires of young twentysomething college graduates. They’re not irrelevant, because no one is irrelevant, but I think my record on being interested in the larger issues of economic and racial segregation – the question of how to spread access to a broad swath of people to a broad swath of places, including affluent outer city neighborhoods and suburbs where I, and other people in my social circles, are almost entirely uninterested in living – is pretty solid. Moreover, we’ve already established that we both believe the evidence – at the metropolitan level, at least – strongly suggests that the kinds of housing reforms I and other zoning reform advocates have been pushing will, in fact, reduce segregation writ large. I think it’s wrong to dismiss this as a bunch of privileged kids throwing a tantrum because they can’t live in the hippest neighborhoods – which, to be fair, I don’t think was Pete’s point. But it’s a more extreme version of his response that I’ve heard elsewhere, and I think it’s necessary to push back against that narrative, and hard. 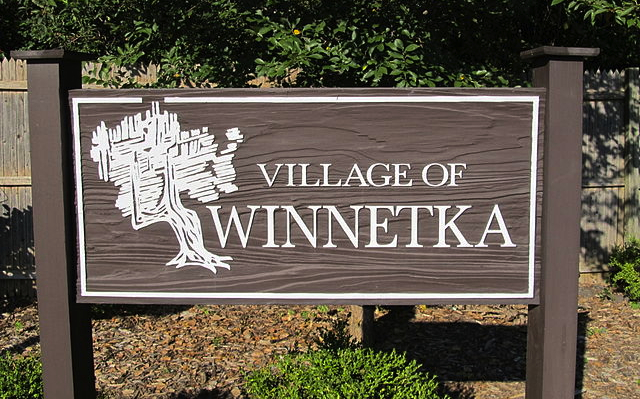 Winnetka, average income > $200,000: hipsters don’t want to live here, but other people should be allowed to. [W]hat we call “gentrification” these days is only one facet of the much larger issue of economic segregation. That people get priced out of the places they already live in is only half of the problem. The other half, which affects an order of magnitude more people, is that people can’t move to the neighborhoods to which they’d like to move, and are stuck in places with worse schools, more crime, and inferior access to jobs and amenities like grocery stores. That problem is easier to ignore for a variety of reasons, but it’s no less of a disaster. The issues he’s bringing up – what’s going to happen to the South Shores and Chathams of the world (and, much more ominously, to the Englewoods and Flint, Michigans) – don’t get nearly enough attention: not from places like Atlantic Cities, and not from actual urban planners and political leaders. What to do about it, I don’t know. The fact, actually, that it is as much a social as an economic problem makes it exponentially harder: the government can meddle in the economy fairly dramatically, but it’s much harder to get people to change their minds about, for example, where they would like to live. In some cases – like South Shore – there are enough structural advantages that it shouldn’t be impossible to invest in whatever assets are currently lacking, or in general awareness about the existence of the neighborhood’s structural advantages, and eventually bring back the broader middle class. In places where the structural advantages are less obvious – places like south suburban Robbins, for example, which isn’t particularly close to the Loop, or any other major job centers – I’m not really sure what the way forward is. But in both scenarios, we ought to be talking about it. I’m glad Pete got the conversation going again. Previous Previous post: At what cost housing supply? Dan, thanks for the thoughtful reply. I probably won’t take the time to respond to this on my blog; this works fine. As I said in my tweet to you, we’;re working toward the same goal here. You’ve rightfully exploited the flaw in my argument. I do believe constrained housing supply in the suburbs increases segregation overall, and that more units there would improve that at the metro scale. But it’s probably fair to say I was trying to find a way to articulate another fear of mine — resegregation at the metro level, with minorities and the poor sent to the outskirts of metro areas, and wealthy residents inhabiting city cores. At a gut level I feel this could happen once cities get past the bifurcated state. And yes, I am quite concerned about neighborhoods with too little demand. I know virtually every inch of Chicago; I know that physically speaking Chatham looks an awful lot like Jefferson Park, and that South Shore looks very much like Edgewater, but economic circumstances in each are at opposite poles. At some point the back-to-the-city crowd will discover this, and the challenge will be determining whether the transition will be gradual or dramatic. At the neighborhood level I’d love to see city neighborhoods transition in the same way that Oak Park, Evanston or Shaker Heights, OH did, but sort of in reverse. Can that happen? Thanks again for taking part in this debate. It was a pleasure. I mostly agree with this, but I do think that one crucial difference between most suburbs and urban neighborhoods is the amount of developable land. In most urban neighborhoods, any increase in density has to come from teardowns of existing structures as well as new construction. Obviously, it is possible for an urban neighborhood to rebuild itself with a higher density. However, in order for neighborhood to keep up with the rapid increase in demand that occurs in gentrifying neighborhoods, you would probably need to increase the density by 50% or more over the course of a decade, and that is unlikely to happen unless demolition occurs at urban-renewal speeds or two-flats are replaced with high-rises. Therefore abrupt increases in demand (which is partially related to the limited number of urban neighborhoods that are considered desirable) is part of the problem. HOWEVER, one way I think this point is not to make the connection between supply and demand and how it is kept mismatched, but to make the connection between good services and demand. People want to live in cities because they are close to amenities. Suburbs, especially the inner suburbs, can offer the same amenities like public transportation, good roads, police, etc. In Cobb County, all of the nicest and best developed part of the county is *right* next to the Fulton County, the county the City of Atlanta is in. If you travel even ten miles west, you get economically depressed feeling areas. It’s amazing how run down the area of the Big Chicken in Marietta is, compared to what Smyrna is like, and both have very high diversity. Fulton simply has a lot more vitality from having better public services, such that many, many, more major businesses are situated there, fairly far north of Atlanta proper–even though taxes are higher to maintain such things! A program of systematic forcing underfunding muncipalities to do basic maintenance and services, and having the tax rates that raise the necessary funding can probably do a lot more good than what that sounds like. Simply because it forces more places to be livable as a successful person.